The Honeywell L5100-WiFi communications module is intended to provide compatible Honeywell LYNX Touch control panels with a WiFi connection. The L5100-WiFi module connects directly to the Honeywell control panel and is powered via the control panel's connection. The module must be registered by AlarmClub in order for an DIYer to get an AlarmNet account to be used. The only exception to this is that the WiFi module can be used for LAN connection to the Coby Mid-7H WiFi tablets running the L5100 Connect app and can do this without registration with AlarmNet. The module will provide a wireless IP path for alarm communication, panel uploading and downloading, and Total Connect Remote access. The L5100-WiFi module can be installed along with the GSMVLP5-4G cellular 3/4G module for dual-path alarm communications. 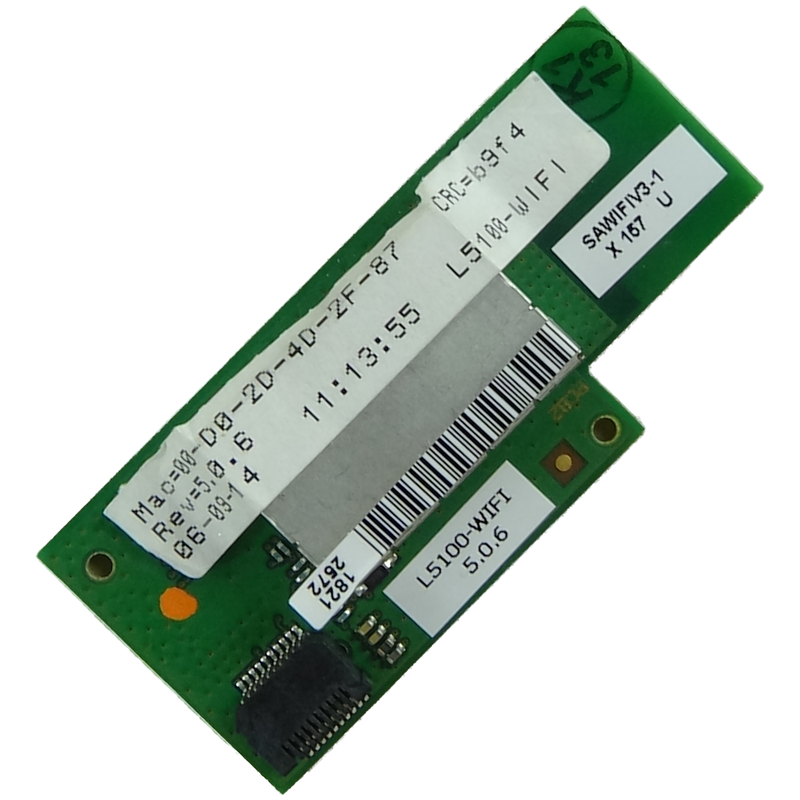 If installed with the GSMVLP5-4G, the WiFi module will be used for primary communication with the GSM as its backup (as long as the WiFi module has internet connection). The module cannot be installed in conjunction with the ILP5. Once the module is installed in the panel, it must be enrolled in the local wireless network before it can be registered with AlarmNet by AlarmClub. Current Drain: 130mA nominal; 325mA max. -Contact ID reporting using ECP mode with compatible Honeywell control panels or combined with optional dialer capture for non-ECP capable control panels. -Advanced encryption standard used for secure communications. -Available with select Honeywell control panels. Requires Compass version 1.5.8.54a or higher. -Quality of Service diagnostics via AlarmNet supply vital information including when a message was received, battery voltage, input voltage and message path. -Any message generated serves as a supervision message per optional 24 hour or 30 day intervals. This feature effectively limits required messages to be sent. -Optional Honeywell Total ConnectTM Remote Services value-added web-based or SMS system control as well as e-mail notification of system events. -Digital processing for improved detection and false alarm protection. -Onboard charging circuit design accommodates back-up battery. Includes primary power and battery supervision. *Total Connect Service subscription required.